You can use mail-order drug services to have your prescription drugs delivered to your home. You skip the line and inconvenience of visiting a pharmacy. There are both benefits and drawbacks to receiving drugs by mail order. Convenience: You can get a 90-day supply of each of your medications delivered to your home. Often, you get a 30-day supply at your walk-in pharmacy. You may save money: Your health plan may have lower copayments for prescription medications that you obtain through mail-order, rather than through a regular retail pharmacy. 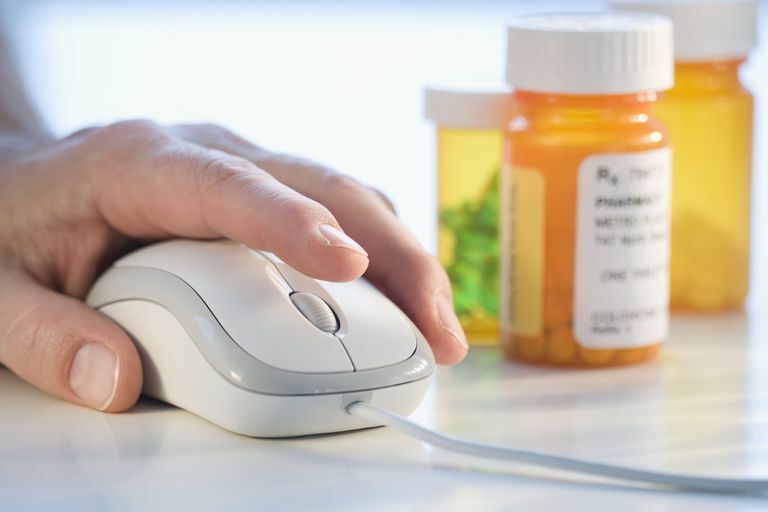 You can easily order refills: If your prescription is current, most mail-order pharmacies allow you to order refills online, by mail, or by phone. Plus, you can do it at any time of the day or night. Register for online refill reminders so you'll know when it's time to reorder your medications. You can receive an email reminder or an automated telephone reminder. Speak directly with a pharmacist to answer your medication questions. Check the status of your order online or by phone. Safety issues: If you buy medications through the mail from online drugstores that are not reputable, you are at risk of getting the wrong medication or counterfeit medication. Mail delivery issues: Although safe and efficient, packages handled by the U.S. Postal Service can get lost or damaged. Additionally, there is a small danger of your package being stolen from a rural or suburban roadside mailbox. Mail-order delivery can be slow: When you use a mail-order pharmacy, it may take as long as two weeks to receive your medication shipment. This may be OK if you plan ahead. If you wait until you are almost out of medications before you order a refill, however, you will need to pay for overnight or one-day shipping, which can be expensive. No face-to-face contact with your pharmacist: One of your most valuable health resources in your community is your pharmacist. If you take several medications and use over-the-counter drugs, your pharmacist can advise you about interactions and side effects. If have a health plan with drug coverage, you most likely have the opportunity to order your medications through the mail. Most large health plans work with companies known as pharmacy benefits managers (PBMs), which administer the drug benefit for the health plan. These companies can buy medications in large quantities directly from the drug companies and they are able to offer you discounts on medications that you order through the mail. The largest PBMs in the country, Medco, Caremark, and Express Scripts, provide mail-order drugs to more than 100 million people. Large drugstore chains, such as Walgreens and Wal-Mart, also offer services that allow you to order medications through the mail. You have the option to pick them up at a pharmacy or to have them mailed to your home. Moreover, large online drugstores may provide a discounted 90-day supply of medications similar to the chains and the PBMs. There are different options for you to get mail-order prescription medications, depending on your health plan and financial situation. If you have drug coverage as part of your health plan, check your benefit booklet and your health plan’s website to see if your health plan uses a PBM. Since your medication is being paid for by your health insurance, you are responsible only for the copayment. If you are ordering a brand name prescription drug, your best option to save money is most likely a 90-day supply from your health plan’s PBM. For example, your copay for Diovan (valsartan), a medication used to treat high blood pressure, may be $25 for a 30-day supply at your local pharmacy and $50 for a 90-day supply from your health plan’s PBM, a savings of $25. If you are taking a generic medication, such as simvastatin (brand name Zocor), which is used to treat high cholesterol, though, your health plan’s PBM may charge $15 for a 90-day supply, while your local Wal-Mart pharmacy or supermarket pharmacy may charge only $10 for a 90-day supply. Using the mail-order service of the large drugstore chains, such as Wal-Mart and Walgreens. Using the mail-order services of online drugstores that have been verified by the National Association of Boards of Pharmacy. If you do not have health insurance with drug coverage, there are several mail-order options to help you get discounted prescription drugs. AARP offers a discount prescription medication program for members. It is managed by OptumRx and can be used at over 66,000 pharmacies. Two mail-order pharmacies sell a 90-day supply of a limited number of prescription medications for $20, $30, or $40. These online companies, RxOutreach and Xubex, have income requirements. For example, a household of two might have to make less than $50,000 per year (in the continental U.S.) to qualify. If you need a new medication, have your doctor write two prescriptions. One can be for two weeks that you can fill at your local pharmacy. The other would be for a 90-day supply to be sent to the mail-order pharmacy. If you are paying the full cost of your medication, ask your doctor if you can use a generic. Then check if the medication is available through low-cost programs at Wal-Mart, Target, or supermarket chains. These may be the least expensive option, with some drug costs as little as $9.99 for a 90-day supply.